Stamping crafts are a favorite at my house. 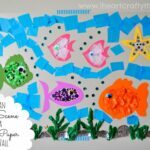 It’s been quite a while since we made one, so I thought of something that reminded me of summer (the ocean), and we came up with this Fish Stamped Ocean Art Activity. It turned out sooo fun! 1. 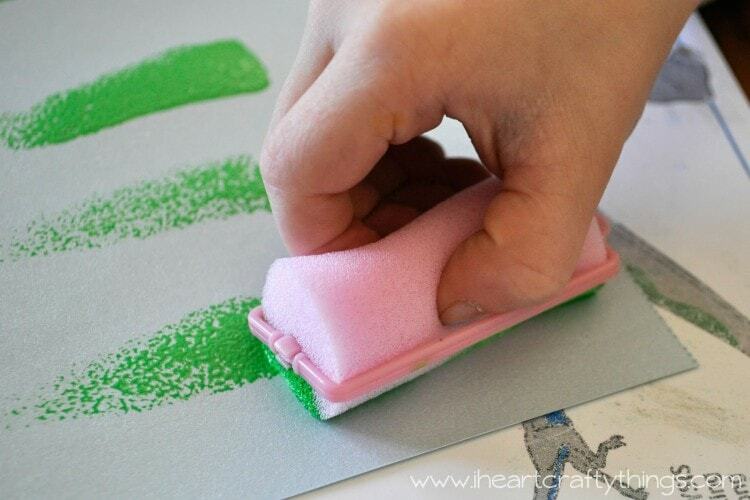 Pour some green paint on a small paper plate. 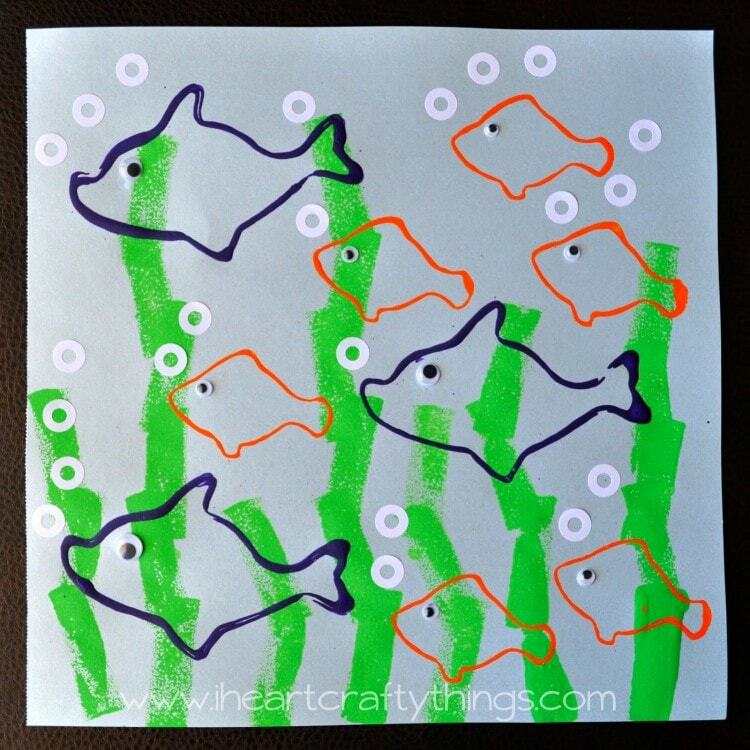 Dip your hair curler into the paint and stamp it onto your paper to create plants in your water. Dip and stamp until you have made all the plants you want on your paper. 2. 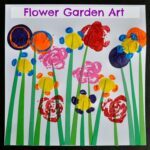 Pour some purple and orange paint on small paper plates. 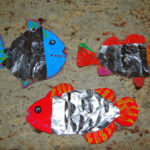 Dip your cookie cutters into the paint and stamp them onto your paper to make your fish in your ocean scene. Let the paint dry completely. 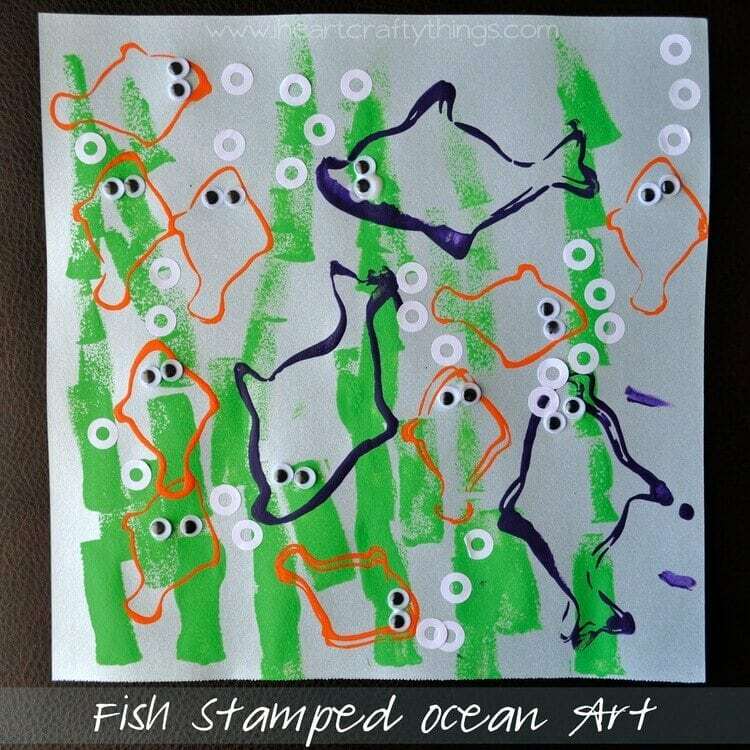 When you are finished you have a beautifully stamped ocean fish scene. If you want to add additional details to the fish, you could always use glitter glue inside the fish or glue sequins inside the fish. 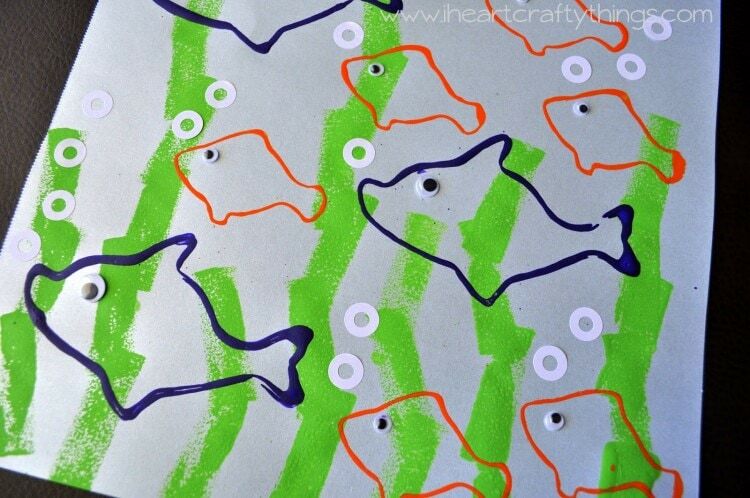 You could also use crayons to color the inside of the fish. We liked the simplicity of leaving the fish stamped.